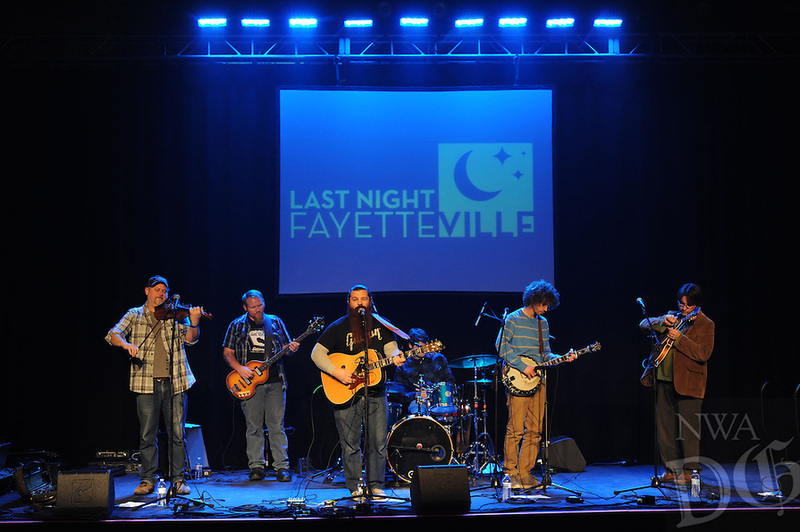 Members of the band, National Park Radio, perform Thursday, Dec. 31, 2015, inside the Fayetteville Town Center during the fifth annual Last Night Fayetteville celebration on the town's square. The celebration featured music and performances for all ages on 11 stages leading up to the Hog Drop and fireworks at midnight. Visit nwadg.com/photos to see more photographs from the event.